With the global prevalence of the disease recently estimated to exceed 250 million, osteoarthritis is the most prevalent cause of disability in the US, surpassing the next 4 medical disorders combined, with annual medical expenditures exceeding $185 billion. Obesity, a key risk factor for the development of OA, has become a global epidemic due to decreased physical activity and the consumption of the typical Western diet. Concurrently, the obesity epidemic drives an increased incidence of OA in both weight-bearing and nonweight-bearing joints, with 66% of all adults diagnosed with OA being either overweight, obese, or obese/type 2 diabetic. While it has been generally held that joint overloading is a central cause of accelerated OA in obesity, clinical and animal findings suggest that the association is more likely linked to obesity-related increases in systemic and local inflammation driven by migration of activated macrophages and other inflammatory cells to adipose tissue, which release Tnf and other proinflammatory cytokines into the circulation. Now, researchers at the University of Rochester Medical Center have busted this long assumed theory of obesity contributing to the “wear and tear” arthritis, and demonstrated how that bacteria in the gut – governed by diet – could be the key driving force behind osteoarthritis. In their mouse models, the team found that obese mice had more harmful bacteria in their guts compared to lean mice, which caused inflammation throughout their bodies, leading to very rapid joint deterioration. While a common prebiotic supplement did not help the mice shed weight, it completely reversed the other symptoms, making the guts and joints of obese mice indistinguishable from lean mice. The University of Rochester researchers fed mice a high fat diet including red meat and high fat foods similar to a Western cheeseburger and milkshake diet. Twelve weeks of a high fat diet made mice not only obese, but diabetic, doubling their percentage body fat, compared to mice fed a low fat, healthy diet. The colonies of obese mice had excessive amounts of the bad “inflammatory” bacteria species, and were nearly devoid of specific beneficial, probiotic bacteria, such as the common yogurt additive, Bifidobateria. 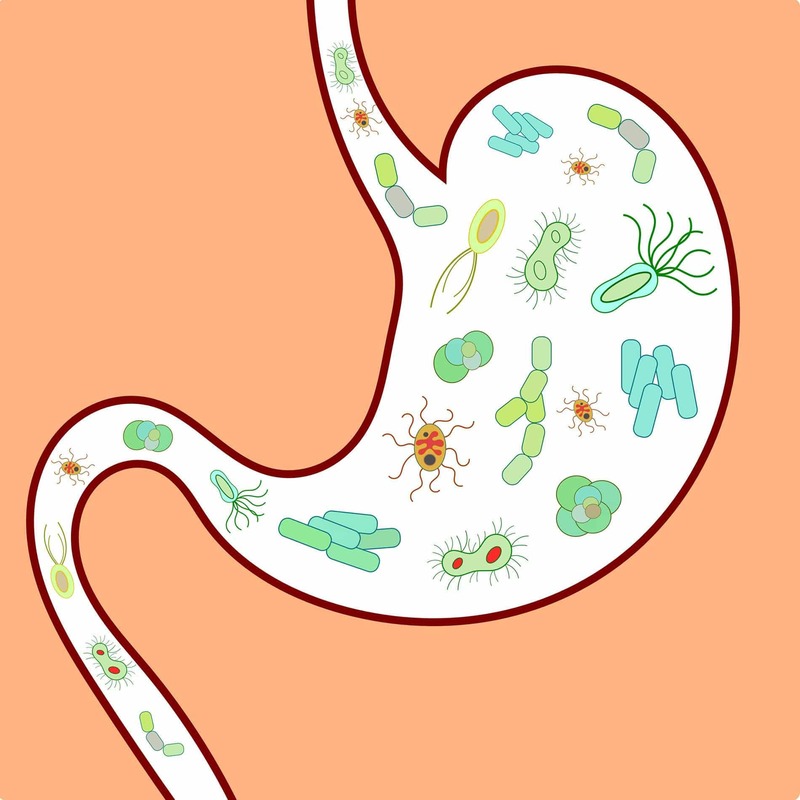 The scientists monitored the gut microbiomes of the mice. They found that changes in the gut microbiomes coincided with signs of body-wide inflammation, including in their knees. The researchers induced osteoarthritis in the knees of the mice by mimicking a common sports injury (known as a meniscal tear). Interestingly, the osteoarthritis progressed much more quickly in the obese mice than the healthy mice, with almost all of their cartilage disappearing within 12 weeks of the tear. Remarkably, the effects of obesity on gut bacteria, inflammation, and osteoarthritis were completely stopped when the high-fat diet of the obese mice was supplemented with a common prebiotic, called oligofructose (inulin). The knee cartilage of the obese mice receiving the oligofructose supplement was indistinguishable from that of the lean mice. Prebiotics, including oligofructose, made the obese mice less diabetic but their body weight didn’t change. But bacteria that protected mice from obesity-related osteoarthritis may differ from those that could help humans. The researchers are working with the U.S. Department of Veteran’s Affairs to study this situation in veterans.